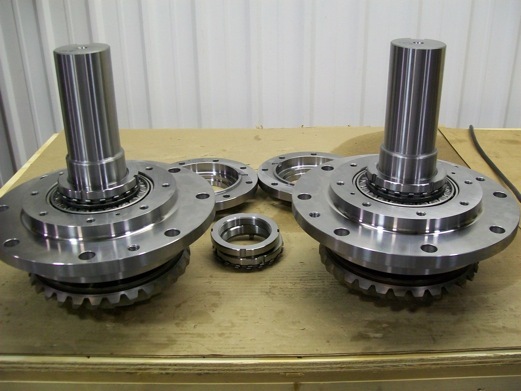 Excel Gear, Inc. of Roscoe, Illinois announces the completion of a sixteen gearbox order in only ten weeks. Seems rather normal, until you see the application, namely, one of the world’s largest ever vibratory pile drivers, the APE Octokong, to be used for erection of an over/underwater structure, the Hong Kong-Zhuhai-Macau Bridge in China. 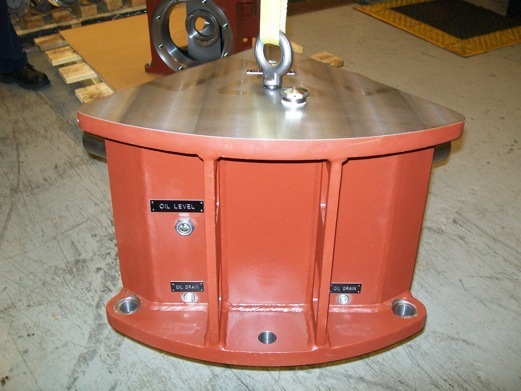 The machine is being built by American Piledriving Equipment, Inc. (APE) of Kent, Washington. 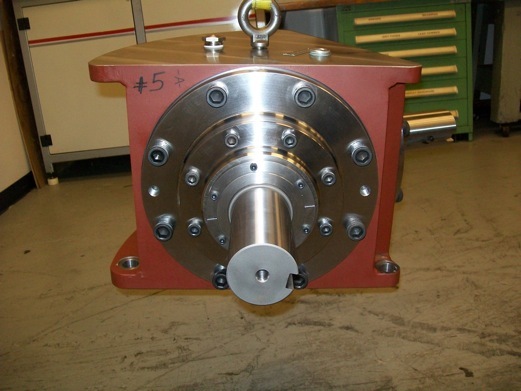 In use, the sixteen gearboxes regulate timing on the vibratory power transmission for the apparatus needed to secure the pilings in the riverbed or sea floor. For a video of this amazing machine design, see www.apevibro.com. Using its “design for manufacturability” approach, according to N.K. “Chinn” Chinnusamy, Excel Gear president and its chief engineer, the company manufactured the spiral bevel gears, machined the castings, engineered special Teflon seals, created special stainless steel breather caps and holes to accommodate the tremendous pressure build-ups and air dissipation requirements in the system, then heat treated and assembled the units, finally testing them in the Excel quality inspection lab. 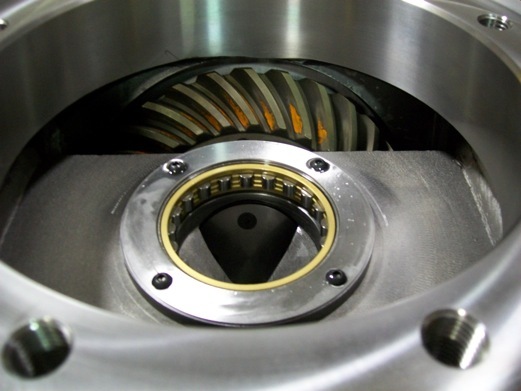 Each component was hand-washed and inspected for chips, the alcohol-wiped, run with oil, inspected and re-cleaned. 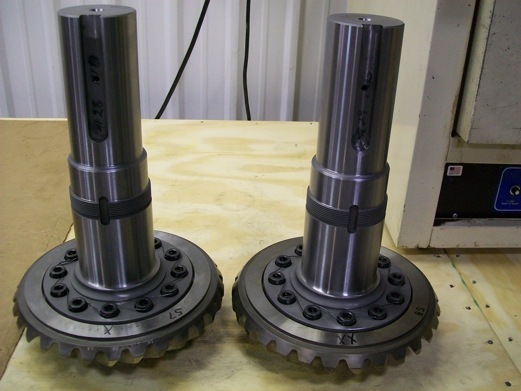 “The toughest part of this job…and there were many tough parts,” comments Chinn, “was to get the shaft keyways aligned properly in orientation to the surfaces of the spiral bevel gears. 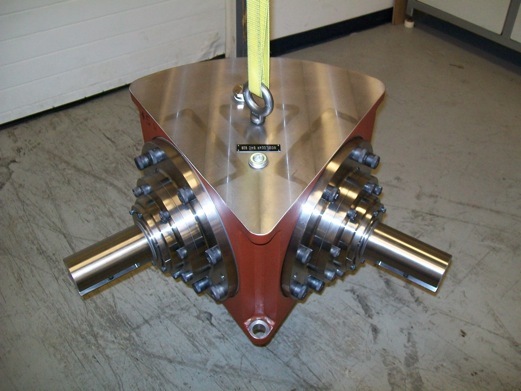 The math involved here was staggering.” In addition, Chinn notes that special fixturing had to be built to facilitate the machining of the very large surface areas involved on this job. He proudly reports that the very first test runouts saw keyway alignments within 0.0005” of parallel. 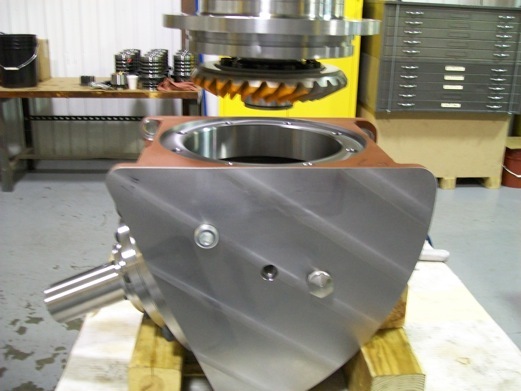 Another aspect of this immense job was the need to minimize backlash for noise and distortion. 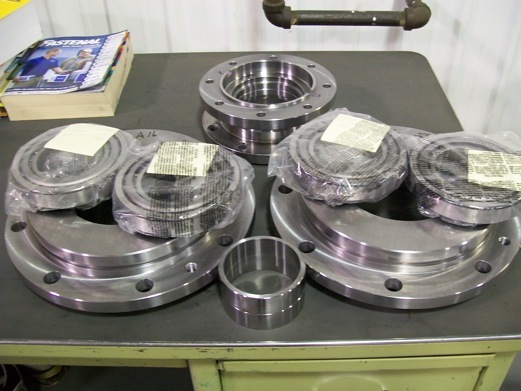 The offset bearing calculations needed the highest accuracy possible and, owing to the very nature of spiral bevel gearing, this was an immense math and machining challenge. Excel maintains a battery of the largest gearmaking machines in the industry, as its customer base comprises heavy materials handling equipment, naval vessel gun turret builders, barge off-loading crane and other manufacturers where huge gears and precision motion are both required. Despite the timing of the job, Excel Gear shipped the order ahead of schedule by several days, satisfying the customer completely. Chinn acknowledges several suppliers who greatly assisted Excel in the completion of this job. Youngberg Industries of Belvidere, Illinois performed some of the heavy fabrications needed, while Reliance Gear of Addison, Illinois did spiral bevel gearwork, a highly specialized service, and General Surface Hardening in Chicago handled the carburizing and hardening in the heat treat processes on the 4320 alloy steels used. Finally, Chuck Schultz of Beyta Gear Surface in Winfield, Illinois did some consulting and spec writing on the job.